It is considered that the new Nexus 6 will be produced by Motorola and will be larger than the previously released Moto X (2014). The battery will come with at least 3.200 m-Ah to power the large display and support Motorols Turbo-Charge-Technology. This technology allows to charge the battery up to 8 hours of battery life within only 15 minutes of charging duration. In additiion the phone will come with a 13 Megapixel camera and optical image stabilizer. The design of the camera will be similar to the Moto X and its dual LED flash ring. Front facing camera will have 2 megapixel. 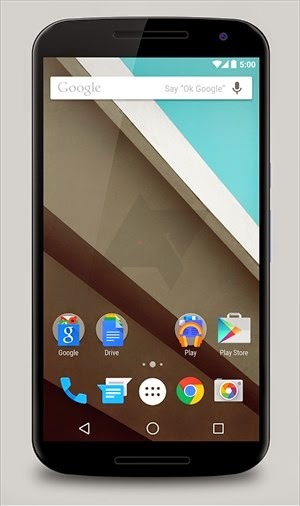 It is cristal clear that the Nexus 6 will come together with the Android L version announced earlier this year during Google IO. Android L will be a major release and uses the version number 5.0. Since the first preview releases several improvments where introduced, including the layout of the Homescreen. For example several Google and Phone applications are positioned right about the System Keys and fixed to the homescreen. Google Play apps are grouped within a folder. In addition to the Nexus 6 there some people think Google will announce a smaller brother within the same event, analog as Apple did some weeks before with the iPhone 6. Currently now concrete hints or images become public about this Nexus Mini version. Either Google is able to keep this version totally secred or there is no such a phone. We will notice within the next few weeks. It is expected that the pricing will be again much more lower than the actual iPhone prices, which start at about 699 EUR for the iPhone 6 up to more then 1000 EUR for the high end version of the iPhone 6 plus. Furthermore Nexus 6 will be again cheaper than the latest Samsung (Galaxy S5) or Motorola (Moto X) phones, which are currently about 499 EUR. 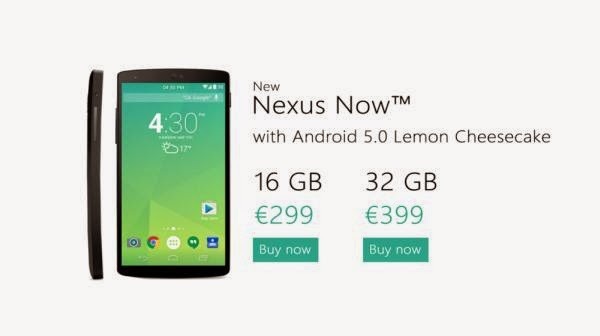 I would expect a price for the Nexus 6 between 299 EUR and 399 EUR. This will be a great deal for the given specification. Availability in the US and Europe is expected during late October or early November 2014. 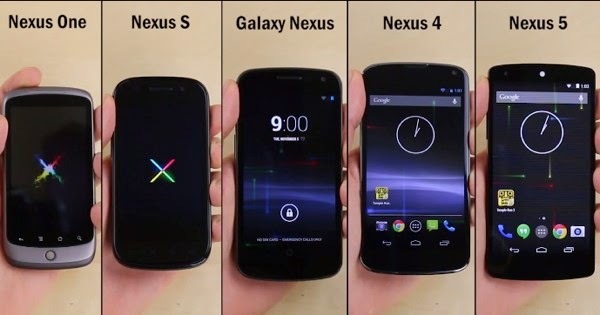 What is your opinion on the new Nexus 6? Do we need such a big screen for the daily use?